When trying to get rid of your junk car in Queens, there are few different channels you can take. You can tow it to a scrap yard, part it out or call a removal service to tow your vehicle away. Towing your car to a scrap yard ensures that you are in control of the process from the time it leaves your property until you receive cash in hand. So long as you have the means to tow your vehicle yourself, this is a great option. However, if you don’t have a burly pickup with sufficient towing power, it’s best to scrap this idea. Parting out your car, or selling individual parts, is something engine savvy junk car owners do. The removal, testing and cleaning of these parts may be time consuming. Additionally, buyers for your used parts must be located. Many sellers rely on eBay for selling parts. However, if you aren’t an expert on vehicles, going this route is difficult. Keep in mind that even experts have trouble getting rid of entire cars and trucks through this process, and the aesthetic advantages of getting rid of junk cars is mitigated by piles of random engine parts laying around. The easiest and fastest course of action is to contact NYC Auto Salvage and Glass. 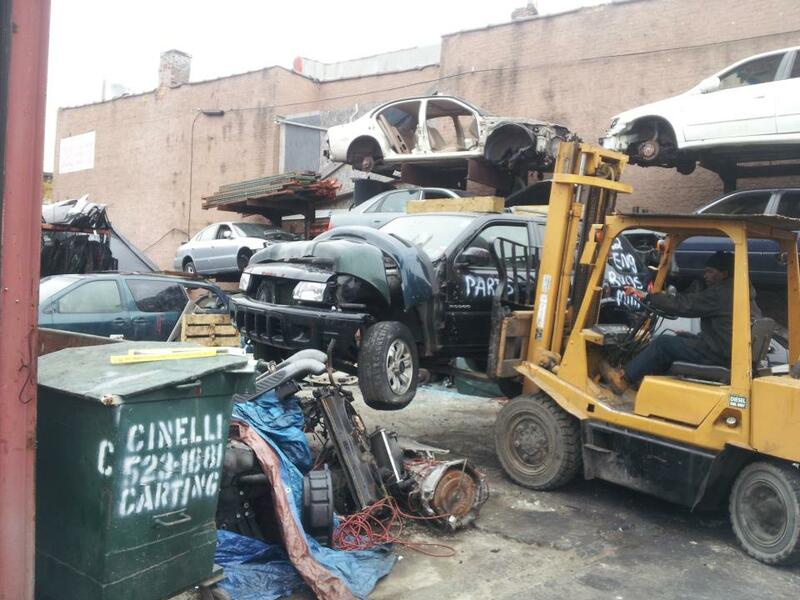 Once the initial inquiry is made, we work hard to remove your junk cars quickly and give you top dollar paid. All you need to do is make a quick phone call and we do the rest. Don’t have paperwork on the car? It’s ok. We can still help you. Call New York City Auto Salvage and Glass at 718-297-9797 and don’t forget to like us on Facebook and follow us on Twitter to receive discount offers and read our customer feedback.